Recently, Condé Nast Traveler used its Readers’ Choice Awards to produce a list of the Top 5 Cities in Central & South America. In principle, I’m averse to such listicles but, nevertheless, I can’t look away completely. Thus, I’ve decided to comment on the survey and, then, produce a list of my own that will, hopefully, provided a credible corrective or supplement. I subscribe to the magazine – at about US$12 per year, that’s no big sacrifice - but the survey itself appears online. Condé Nast’s No. 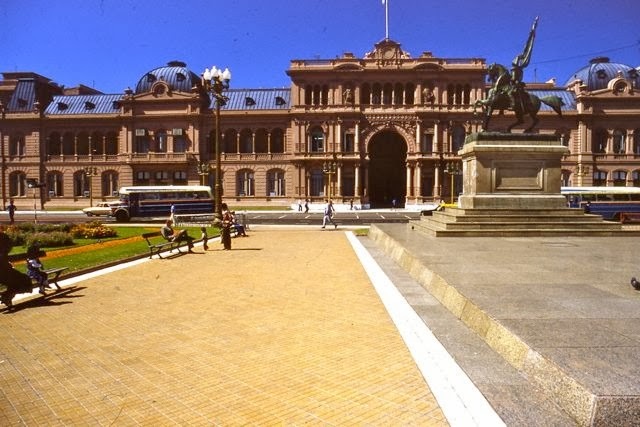 1 city is Buenos Aires (pictured above) which, of course, I cover in my own city guide and in guides to Argentina and Patagonia (additional comments below). No. 2 is Cusco which, though I haven’t visited Peru for many years now, is certainly a credible choice for its Inka and colonial heritage, and as a historic gateway to Machu Picchu. I got to know it in my backpacker days and, though it’s certainly changed now, it’s hard to dismiss it from such a list. No. 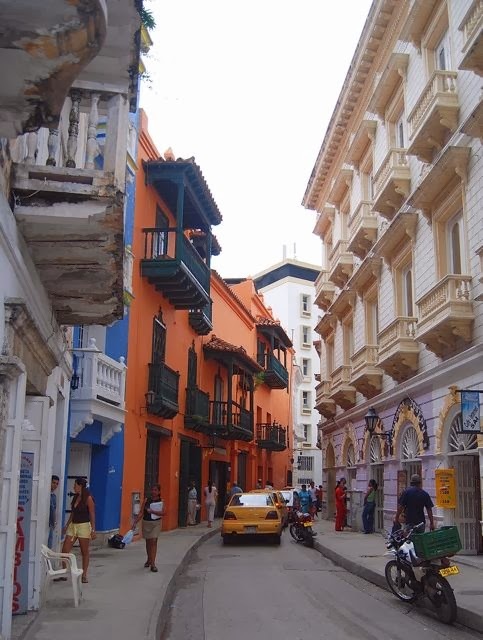 3 is Cartagena, Colombia (pictured above and below), for which I have a special affection as the first memorable city I ever saw in South America (flying from Costa Rica, I landed in the grubby Caribbean port of Barranquilla, which I’d sooner forget, but nearby colonial Cartagena’s walled city was unforgettable). Fortunately, I was able to return a few years ago, and it was better (though notably more expensive) than I remembered it from my backpacker days. I’m bewildered, though, that the magazine would even have to suggest visiting “the old part of the city, as well as the newer areas…” since the old part is the only part worth visiting. In the newer part, you might as well be in Miami. No. 4 is Paraty, Brazil, a surprise choice that I really know nothing about. Personally, in my limited Brazilian experiences, I would choose Bahía (Salvador). No. 5 is Antigua Guatemala, the colonial capital ironically saved by an earthquake that forced the movement of the political capital 30 miles east to present-day Guatemala City. Antigua, which I covered in an early edition of Moon Handbooks Guatemala, has a remarkable critical mass of colonial architectural treasures, even if some of them are ruins or semi-ruins, and the presence of a rich Mayan culture in and around it. My own Top 5 differs significantly from Condé Nast’s, but then it’s not crowd-sourced like theirs, which relies on polling based on vague standards of culture, friendliness, atmosphere, restaurants, lodging and shopping. I take a different approach which, though still subjective, has parallels with the standard I use to evaluate restaurants: “Would I go eat here again?” This reflects my own experience and, over the course of three decades experience, it covers the places I most look forward to returning to. The order that follows below is random. In this I concur with Condé Nast readers, even if I detest the “Paris of the South” cliché – which needs to be retired sooner rather than later. 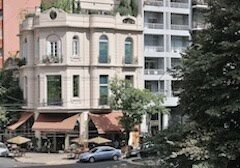 Buenos Aires is not a European metropolis, but rather a New World immigrant city that’s more analogous to New York. For my part, it helps that I own property there, so I have all the benefits of travel while still being able to sleep in my own bed. From my East Bay home, San Francisco is less than 20 minutes away by the Transbay Tube, but I rarely go there except en route to SFO for a flight to Argentina or Chile. 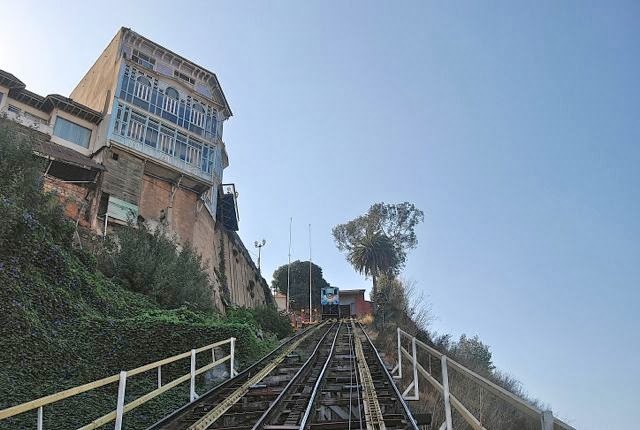 I prefer to spend time in Valparaíso, the first major Pacific port on the Round-the-Horn route to the Gold Rush and, with its steep hills, cranky funiculars, brightly painted houses and cool summer fogs, “Valpo” is South America’s San Francisco. A UNESCO World Heritage Site, it also has longstanding historical links with California, as Isabel Allende (now a California resident) showed so vividly in her historical novel Daughter of Fortune. 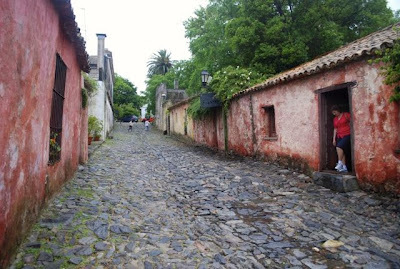 Barely an hour from Buenos Aires by ferry, the walled city of Colonia del Sacramento was a buffer between Portugal and Spain, and then between Brazil and Argentina, until Uruguay became an independent country. 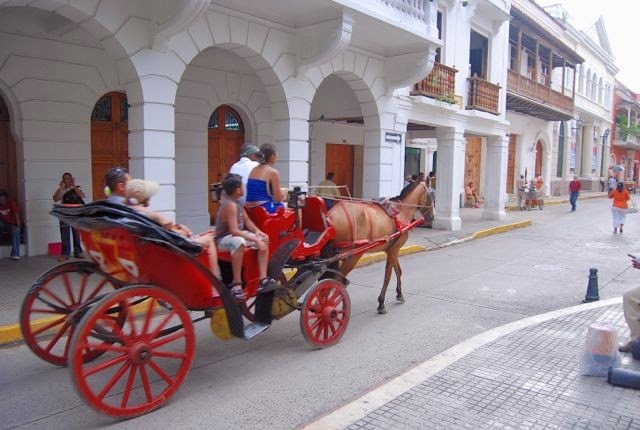 Towns of its antiquity, with its cobbled streets and low-slung houses, are unusual in southernmost South America. It’s a walker’s delight. 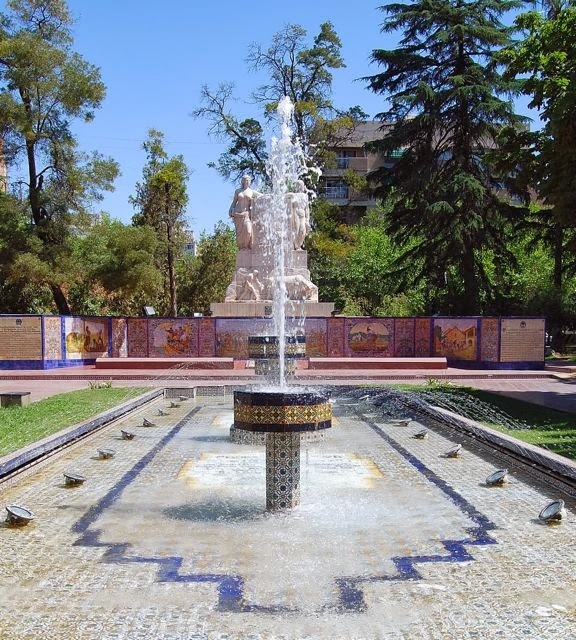 At the base of the Argentine Andes, Mendoza is a commercially driven world wine capital whose downtown street trees form, in the words of the late Mexican novelist Carlos Fuentes, a “roof of leaves woven together like the fingers of a huge circle of inseparable lovers.” Its park and plazas are a delight, while its backcountry can boast the “Roof of the Americas” in Cerro Aconcagua, the Western Hemisphere’s highest summit. Stretching along the Strait of Magellan, Punta Arenas was Ground Zero for the “wool rush” that transformed the Patagonian steppes, in both Chile and Argentina, into massive sheep ranches that clothed Europe and made a handful of entrepreneurs rich and influential (more so in Argentina than in Chile, however). 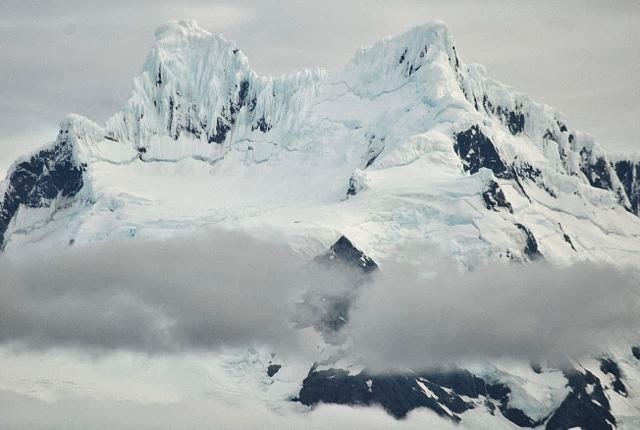 They left some memorable architecture, and the city’s also the gateway to the Fuegian fjords (pictured below). 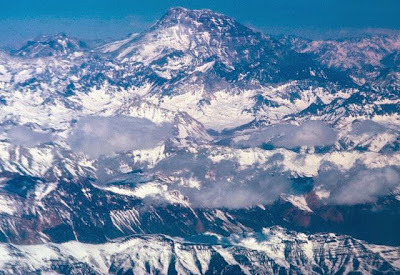 Anyone traveling to the Southern Cone countries over the next couple months will, unavoidably, experience the presence of politics. Some, perhaps, might prefer to forget the topic on their holidays, but the conspicuous congressional elections in Argentina and the presidential election in Chile certainly represent an improvement over the dictatorships that ruled those countries only a little more than two decades ago. That’s not to suggest there aren’t shortcomings. Argentine politics is almost invariably polemical, and can bring out the worst on both sides. The government of President Cristina Fernández de Kirchner, who is presently recovering from brain surgery, did poorly in the primaries and is widely expected to lose seats in Sunday’s election because of rampant inflation and corruption; one symbol of its failure is Buenos Aires city councilman Juan Cabandié, currently a congressional candidate for the government’s Frente para la Victoria (“Victory Front,” the currently dominant faction of Peronism). Cabandié’s only apparent legislative accomplishment is his support of a public monument for retired soccer star (and notorious bad boy) Diego Maradona. Nevertheless, Cabandié has an absorbing backstory as the infant son of a young “disappeared” couple who was “adopted” by a federal policeman during Argentina’s 1976-83 dictatorship. Having recovered his identity, though his biological parents are still missing and presumed dead, Cabandié became a credible human rights spokesman but, recently, something went awry. About two weeks ago, video footage surfaced of a routine roadside stop in which the legislator threatened a traffic warden for asking him to produce proof of insurance, which he refused to do. The subtitles here are in Spanish, but his confrontational attitude needs no translation. Worse yet, he apparently attempted to pull political strings to get the traffic warden punished and perhaps even fired, phoning an operative as he refused to comply with her request: “You think you’re in charge here. I’m the one in charge!” (My very rough translation of a difficult idiom). For a government already in electoral trouble, Cabandié’s outburst was another unnecessary distraction. It’stempting to say his campaign is a train wreck but, in Argentina, that’s not necessarily just a metaphor. The worst of it should be over by Sunday, though recriminations could continue, but in Chile it may go on a little longer (if not quite so vituperatively). A few months ago, I wrote about the contest between former President Michelle Bachelet and her conservative opponent Evelyn Matthei as the first presidential choice between two women, but I may have spoken too soon. Bachelet remains likely to finish first in the November 17 election, by a comfortable margin, though she’ll probably fall short of an outright majority that would avoid a December 15 runoff. Matthei is even less of a sure thing. As an emergency fill-in for the center-to extreme-right Alianza after primary winner Pablo Longueira bowed out from depression (perhaps anticipating a landslide loss to Bachelet), she has not quite suffered a public meltdown. Still, her persistent and gratuitous defense of the Pinochet dictatorship (her father spent 13 years as a junta member) and other missteps have left an opening for center-right independent Franco Parisi to face off against Bachelet. Whatever the results, southbound travelers to the region are unlikely to be able to avoid campaign signs, sounds and rallies over the next couple months. There may be unruly moments but it’s better than things used to be and, in the end, it’s part of the experience. If driving, though, remember to carry proof of insurance. 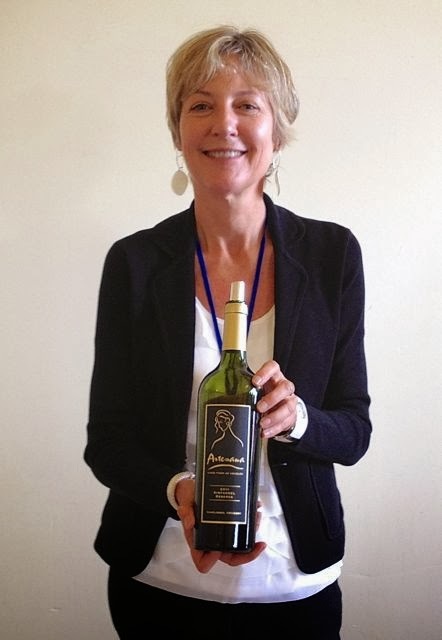 Some weeks ago, I wrote about the Wine of Uruguay Tannat tasting event in San Francisco, at which I met Leslie Fellows, a California resident who owns the Artesana Winery on the outskirts of Montevideo. After the event, and finding some of Artesana’s wines at my favorite supermarket, I approached her about an email interview, in which she graciously provided some insights on Uruguayan wine and her own project there. The answers follow. WB: What is your background in wine? Did you grow up in California? LF: I grew up in California and after working in the arts for many years, finally decided to follow my true passion, wine. I took two years of courses at Cabrillo and UC Davis and became a Certified Specialist of Wine and Sommelier Level 1. As a winery owner and member of the Wines of Uruguay Association, I advocate for and promote Uruguayan wines. I currently live in Santa Cruz, California and spend about two months a year in Uruguay. WB: How did you end up in Uruguay? How do you compare it with Argentina and Chile, which have a much higher profile? LF: My uncle started traveling in Uruguay for business in 2003 and fell in love with the country. He bought a home in the countryside with the idea of having a small vineyard to support the property. At that time the US dollar was strong so it was a good time to invest. The vineyard started as a few acres in the backyard and became a larger project after meeting two local winemakers who introduced him to Tannat and the distinctive terroir of Uruguay. In 2006, in collaboration with these winemakers, Analia Lazaneo and Valentina Gatti, we began developing Artesana, the first American-owned winery in Uruguay. 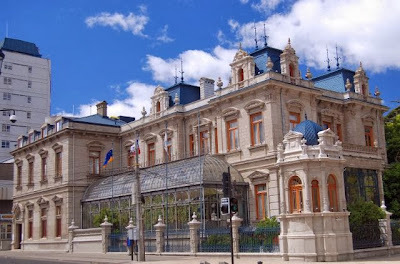 Uruguay is an extraordinary country, known for its economic stability and democratic, socially liberal policies, gorgeous countryside and beaches, and now recognized for its many outstanding and diverse wines. Differing from Argentina and Chile, Uruguay is a country of small-scale, family-owned wineries with a European winemaking tradition dating back to the 18th century when the Spanish brought vines to the region. There are 270 wineries in Uruguay producing approximately 10 million cases from 22,000 acres of vines. As a comparison, Chile’s Concha y Toro winery produces more wine than all of Uruguay. Uruguay does not have the production capacity to compete on price point with Argentina and Chile, so we have to do it by focusing on quality. Small producers will become more recognized as bigger producers with international wine consultants like Michel Rolland, Alberto Antonini and Paul Hobbs help put Uruguay on the map. Additionally, Uruguay has the cleanest water on the continent and one of the purest environments in the world, ranking third after Norway and Finland in the Environmental Sustainability Index (ESI) in 2005. WB: Tannat is Uruguay’s signature wine, but you have cultivated Zinfandel, which I have never seen in South America. Were there any special challenges in a climate and terroir that’s so different from California? What other varietals do you produce? LF: Tannat is indeed the signature varietal of Uruguay, originating from the Madiran region of southwestern France. Tannat is a well-structured grape with an exotic spicy character. Named for high tannin content, Tannat [photograph courtesy of Leslie Fellows] has been found to be the healthiest of red wines in several studies due to its high antioxidant and resveratrol levels. My colleague, Dr. Francisco Carrau of Bodegas Carrau, recently sequenced the Tannat genome (only the second grape after Pinot Noir to be sequenced), once again proving this. Our winery, Artesana, is located 30 miles north of Uruguay’s seaside capital Montevideo, in the acclaimed Canelones region, which is home to the majority of the country’s vineyards. The coastal Atlantic climate produces growing conditions similar to France’s Bordeaux region. Twenty acres of our 80-acre estate are planted to Tannat, Merlot and Zinfandel, the only Zin to be planted and produced in Uruguay. As Californians, we wanted to bring Tannat to California, and Zinfandel to Uruguay. Tannat grows beautifully in Uruguay, but the humidity is difficult on the Zin, so each vintage is unique. In great years like 2011 we made 60 cases of a Zinfandel Reserve (18 months in French oak), that’s received excellent reviews. It has a classic Zin profile, yet is much more earth-driven than most California Zinfandels. In 2012, a more difficult vintage, we made an unoaked Zin that is an easy-drinking fresh and fruity style. Because we produce so little Zinfandel, we sell it only in the domestic market. WB: Do you plan to add any other varietals, specifically whites? Will you acquire any more acreage? LF: We specialize in terroir-driven, single vineyard Tannat and Tannat blends. This year we are grafting one 2.5-acre parcel of Merlot to Cabernet Franc, which will give us more blending options. We are focused exclusively on reds, however there are some excellent white wines produced in Uruguay including Sauvignon Blanc, Albariño, Viognier and Petit Manseng. WB: What size is the operation? Its very name suggests a modest size, but what acreage do you have in Uruguay? Are those vineyards dispersed, or concentrated? Do you depend on your own vineyards exclusively, or do you purchase grapes as well? LF: We are a small, ultra-premium estate winery, meaning we only use fruit from our 20-acre vineyard for our wines and everything is done is small lots with minimal intervention using only the very best equipment and barrels. The vineyard is entirely hand-farmed to produced low yield highly concentrated fruit. We practice sustainable, IPM (Integrated Pest Management), low-input, dry farming to maintain the long-term health of the land. Lots from the thirteen various Tannat, Merlot and Zinfandel blocks are fermented separately using gentle handling techniques in small stainless steel temperature-controlled tanks, allowing the character of the fruit to be expressed. Twenty-day cool maceration regimes provide excellent aroma and favor extraction. Barrel aging is done in French and American oak for 12 to 24 months to carefully accentuate the flavors of the wines, which are then custom blended and bottled without fining or filtration. WB: What is your annual production? What percentage of that production is exported? 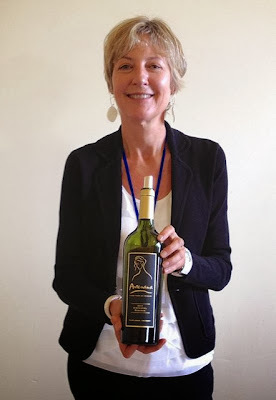 How easy are Artesana wines to find in California and elsewhere in the US? LF: We have a future capacity of 4,000 cases and are currently producing about 2,000 cases, so we are halfway there. About 30 percent is exported to the US, but we hope to increase this percentage in the next few years. Our Tannat wines are sold in shops and restaurants throughout California by our importer/distributor Epic Wines. The wines can also be found in stores throughout Pennsylvania and we are starting to sell in Washington and Oregon. We hope to have our wines available in small quantity throughout the US and Canada in the future. Please inquire with your local wine merchant about bringing the wine in for you. WB: In Chile’s Colchagua valley, eight French women have opened Viña Las Niñas in the Apalta district, and I notice your winemakers are women. Is this a feminist project? LF: The name of the winery, Artesana, inspired by our female winemakers, is a feminized derivation of the Spanish word for artisan or handcrafted, synonymous with fine wine. The two winemakers and I run the company and we are proud to be all women. We work very hard and are passionate about the wines we are producing. WB: Is Artesana open for tours and tasting? If so, what do they include? How easy is access from Montevideo? LF: Artesana is open to the public and is a member of Los Caminos del Vino, a wine trail of 15 member wineries. We offer guided tours with our winemakers, tastings and catered lunches. We are 30 minutes’ drive from Montevideo in the beautiful Las Brujas area of Canelones and easily accessible. WB: Is there anything else that I’ve overlooked that deserves mention? LF: Try a Tannat or any wine from Uruguay if you see one. These wines are getting on the radar in the US and beyond, and deservedly so. Tannat wines can be big and bold, yet elegant and complex and pair beautifully with strong cheeses, charcuterie, pasta dishes, and roasted and grilled meats including sausage, beef and lamb. Flying to the Falklands, on a Budget? Bargain Bites in Buenos Aires?